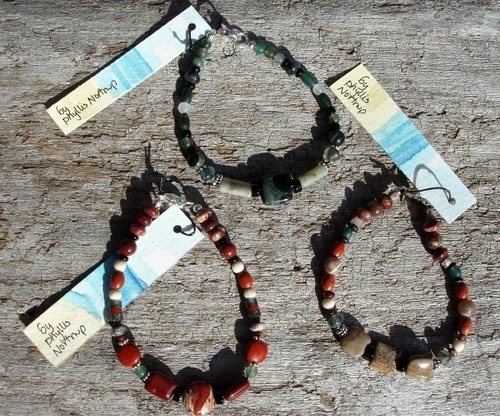 Inspired by our beautiful Lake Superior beach stones, every bracelet is unique due to natural variations in stones and availability. Specify main color of red/brown, tans, greens, or multi colored. Average size is 7 1/2", request smaller or larger if needed. Handpainted tags, specify beach or mountain scene. Price includes shipping.